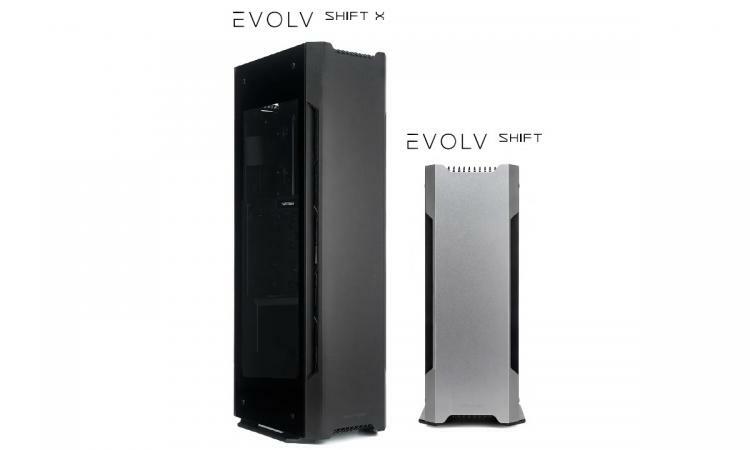 Rotterdam, The Netherlands, July 25th, 2017 – Phanteks expands upon the Evolv Series lineup with their newest cases, the Shift and Shift X. The two cases perfectly combine elegance and high level of functionality. High-quality materials underline the refined designs of the Shift and Shift X, which can be harmoniously integrated into any room. The craftsmanship of the Evolv Shift can be seen in every detail. From efficient space utilization to innovative features, the Shift delivers a compact housing that packs plenty of power. The interior is designed to meet the demand of AIO water cooling. Due to its small footprint and versatile placement, the Shift will look impressive anywhere in your home environment or office space. The Evolv Shift X combines premium finishes and distinctive design to stand tall amongst the crowd. From smart space utilization to innovative features, the Shift X delivers the ultimate level of powerful and slim systems. Every aspect of the Shift X has been thoughtfully designed to be clean, accessible and intuitive to configure and install. The interior is designed to meet the demand of water cooling enthusiasts. 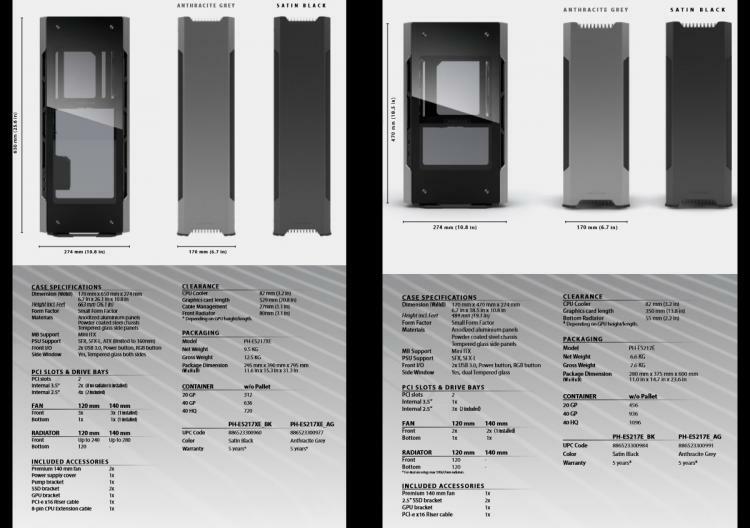 Phanteks Evolv Shift and Shift X will be available this August with two colour options: Anthracite Grey and Satin Black. The Evolv Shift and Shift X will be available from OverclockersUK on July 25th and other local retailers in August 2017. New purchases also come with a 5 year limited warranty. See below for anticipated pricing.